Shweta Mathur is the Head of Group, Business Relations & Analytics, of Tata Power Delhi Distribution Limited (TPDDL). TPDDL is a Public Private Partnership (Joint Venture) of Tata Power and Government of National Capital Territory of Delhi. The company has a registered customer base of 1.5 million and it reaches out to over 7 million consumers in North and North-West part of Delhi through its services. This month we caught up with Shweta to talk about her role at Tata Delhi in its long-term plan to transition to a fully digital, networked utility. UAI: What issues in energy are shaping Tata Delhi’s role as a provider of energy in India? SM: Power is one of the most critical components for infrastructural growth of an economy, especially for a developing economy like India. 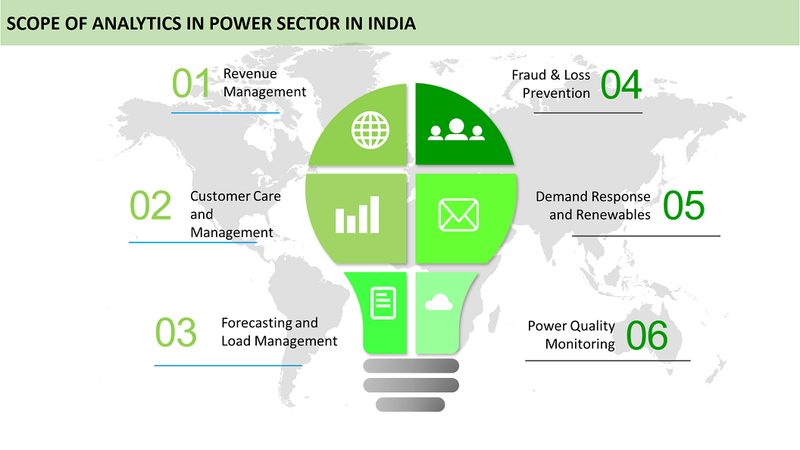 India has one of the most diversified power sectors in the world. The demand of electricity in the country is increasing swiftly with rapid industrial developments underway, and is expected to grow more in the coming years. Power consumption for the country is estimated to increase from 1160.1TWh in 2016 to 1894.7 TWh in 2022. With the rising demands, the sector is also undergoing significant changes, redefining the industry outlook. The sector is witnessing various ambitious projects and increasing investments across the value chain, with diversification in renewable sources and increasing growth avenues. Currently, the key focus area for India is to provide cost effective and reliable power to all with renewable energy integration. However, the biggest challenge to achieve this is to control the national level commercial and technical losses, which are around 25%. However, most of the utilities in India are still hovering around 35-40%. This is primarily because a large portion of network is still un-metered; as a result it is very difficult to establish the source of many losses. But there is a bright side: this challenging scenario makes our work cut out for us! Tata Power Delhi Distribution Ltd. (Tata Power-DDL) has been on an aggressive journey since privatization in the early 2000s to confront its issues with power loss (previously the company struggled with an average of 53% losses), and to generally improve its understanding of the downstream network. Based on the work that Tata Power-DDL has done to modernize the distribution grid, we have decreased our loss average to 8.59%, and are operating under 99.99% reliability. Tata Power-DDL has set nearly 15 MW of Roof Top Projects within its Licensed Area and are planning to set nearly 1000 EV charging stations in our area to support the Clean Electricity and Transportation vision. Tata Power-DDL is strongly pursuing strategies around DER and microgrid solutions to support the electrification goals. How does analytics play into Tata’s journey of excellence and its preparedness towards becoming a “Utility of The Future”? Tata Power-DDL talks about analytics being the foundation of its smart grid strategy and key to integrating renewables and DER. Analytics was a main agenda item on Tata Power-DDL’s 2005 Smart Grid Roadmap, and has since been paramount to our ability to set our goals, define KPIs, implement programs, and measure their value. We started with Operational and Informational Technology integration, which created critical data points for us to gather data from our system. These include Automated Meter Reading Infrastructure, SCADA, SAP ISU etc. We wanted to integrate these systems and use analytics to establish automated decision-making, as well as to be able to quickly and easily perform analytics. Tata Power-DDL is developing various business cases based on big data and analytics; the analytics have been really critical for our understanding of the “last mile”, improving reliability, and making gains on loss reduction and process efficiency. And, there is another huge component: knowledge we gain from big data and analytics will also help us to serve our customers in a modern fashion, offering them the same levels of customer service that they expect from any other world class company. As we move further into the 21st century, we will look to analytics to help us integrate more and more DER into our networks, and facilitate wider adoption of electric vehicles. It takes a very detailed, real-time understanding of the electric grid to safely and reliably support the levels of penetration that we are anticipating in India. Tata Power DDL is working to empower the consumers by providing them the control of their consumption. This will be made possible through home automation, where the consumers will be able to map their electricity consumption and have a control of their electrical appliances, even remotely. The company is presently working on a pilot for this. To make it a reality, we are working on the convergence of Information Technology (IT) with Operational Technology (OT) including our SCADA system. We are also rolling out deployment of 18 lakh smart meters (with 2.5 lakh in the first phase) as part of our Advanced Metering Infrastructure (AMI) project. We are the first utility in India to successfully implement tele-protection service using Line-Differential Relay (LDR) over an IP/MPLS network, helping in speedier smart grid implementation. This will also help in improving the reliability, scalability, security and efficiency of the power network through real time monitoring and help in truly making Delhi a smart city. UAI: Are you pursuing an enterprise analytics strategy? SM: Absolutely! We are integrating business process, technology and people altogether to support analytics. What we have learned along the way is how important it is to think about all of these things together, and not just one at a time. UAI: What types of data are you collecting to perform your analytics? What’s on your roadmap? SM: We are collecting data from metered equipment and operational systems for use cases in asset optimization, grid and asset efficiency, grid reliability, Loss reduction, process re-engineering etc. We are doing as much as we can to go down to the last mile of our network to improve our understanding of demand. We want to more efficiently line up supply and demand for power, which is a huge area for cost optimization. For our customers we are gathering data from our various touch points such as the call center, and also trying to work with data from social media. We want to be able to understand the voice of the customer, and provide better programs and services. In this area, we have moved from excel based analysis and reporting to system based analysis and is now entering into a stage of real time analytics and Deep learning algorithms. For example, we are working on using analytics for better consumer engagement (via micro-segmentation, tariff planning, self-service portals, churn management), energy conservation (via demand response, campaign management, fraud detection, and loss prevention), performance improvement (via resource optimization, first contact resolution, cross-sell and up-sell, credit and collection management). The company is also working to improve grid operations – anticipating outages by synthesizing and analyzing data stream, predicting and preventing operational issues, and responding to outages more efficiently; managing the flow of power through the grid automatically by implementing rules engine and advanced analytics. We are doing all of this while also simulating energy demand through real time load curve analysis and forecasting load demand. What are the major technology challenges you are facing with respect to analytics? What are you doing to counteract them? We foresee huge amount of data to be generated with AMI and Advanced Distribution Management (ADMS) implementations. Our most significant challenge is to review , analyse and undertake real time data analytics while handling this huge database. We now have so much data that we have to store, move, and clean, depending on the age of the data. Cleaning of old data (when we introduced many new enterprise systems) is a significant challenge for us to work with. While we are developing these cases, we are simultaneously working on cleaning and re-arranging our enterprise data portfolio. We expect to complete our first phase of implementation in couple of months. UAI: Where do you want to go in the future and how is analytics playing a role in that roadmap? SM: Tata Power-DDL is moving from predictive analytics to real-time analytics and is expecting a huge turnaround with implementation of its Smart Grid technologies including AMI, ADMS, DERMS, etc. I am sure this will be an enriching experience for us and will be a landmark in our journey towards excellence. Similar to our IT/ OT integration successful case study , we would like to replicate it in other parts of India to turnaround the sectoral performance. Shweta will be presenting Tata Delhi’s story and more at the Global Smart Energy Summit on March 6, 2018, in Dubai, United Arab Emirates. A truly global event, the Global Smart Energy Summit will unite the region’s government energy leaders, regulators, utility companies, contractors, consultants and energy end-users for three days of dialogue, thought leadership and networking with Smart energy pioneers from around the world.